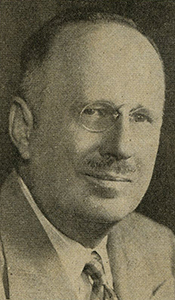 FERNÓS-ISERN, Antonio, a Resident Commissioner from Puerto Rico; born in San Lorenzo, P.R., May 10, 1895; attended elementary and high schools in Puerto Rico and Pennsylvania State Normal School, Bloomsburg, Pa; graduated from the University of Maryland, College of Physicians and Surgeons and School of Medicine, College Park, Md., 1915; physician; health officer of the city of San Juan, P.R., 1919; assistant commissioner of health Puerto Rico, 1920-1921, 1923-1931; commissioner of health of Puerto Rico, 1931-1933, 1942-1946; faculty, Public Health School of Tropical Medicine of Puerto Rico, 1931-1935; unsuccessful candidate as a Popular Democrat for Resident Commissioner in 1940; director of civilian defense, metropolitan area of Puerto Rico, 1942; appointed a Resident Commissioner by the Governor of Puerto Rico as a Popular Democrat to the Seventy-Ninth Congress to fill the vacancy caused by the resignation of Resident Commissioner Jesús T. Piñero for the term ending January 3, 1949; elected to the Eighty-First Congress for a four-year term and reelected to the three succeeding four-year terms (September 11, 1946-January 3, 1965); was not a candidate for reelection to the Eighty-Ninth Congress in 1964; member of the Puerto Rican senate, 1965-1969; died on January 19, 1974, in San Juan, P.R. ; interment in National Cemetery, Old San Juan, P.R. Antonio Fernós-Isern in Hispanic Americans in Congress, 1822-2012. Prepared under the direction of the Committee on House Administration by the Office of the Historian and the Office of the Clerk, U.S. House of Representatives. Washington: Government Printing Office, 2013.